Location: Royal Museum of Fine Arts, Antwerp. The seven swans are thought to represent the seven sacraments of the church. 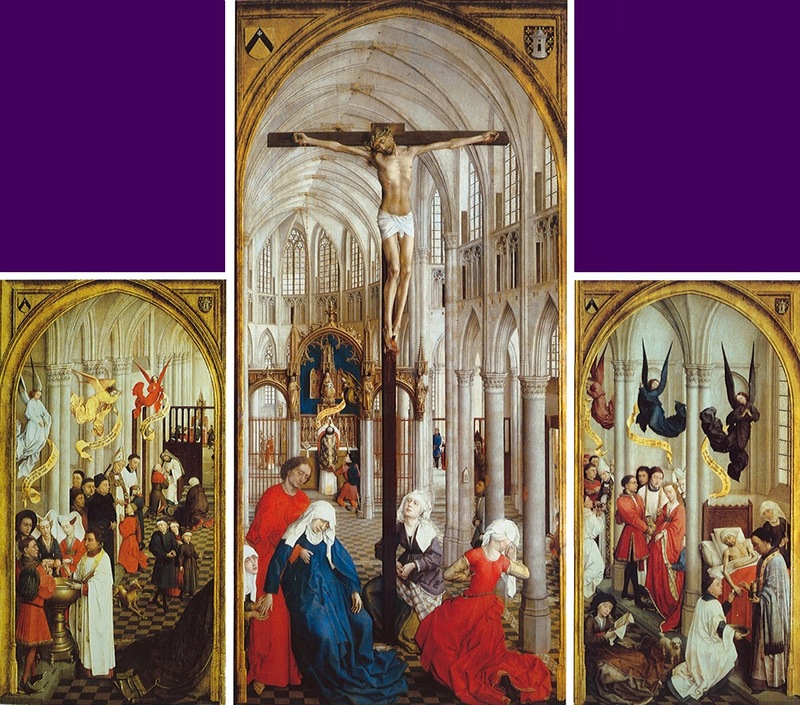 As represented in this altarpiece by Netherlands painter Rogier van der Weyden, the seven sacraments are, beginning with the left hand panel: baptism, confirmation, and penance; the sacrament of the Eucharist is being performed in the central image; the right-hand part contains the sacraments of ordination, marriage, and extreme unction. 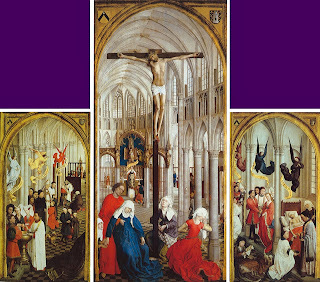 The angels hovering above these scenes wear the appropriate liturgical colors, and are holding scrolls with texts explaining the significance of the various sacraments.